On a scouting trip outside of Asheville, we explored Claxton Farms for clients. We explored, checked lighting and locations, ate from the suggested wedding welcome list and took in the mountain air. Along the way, we met two speckled animals that grabbed our attention. 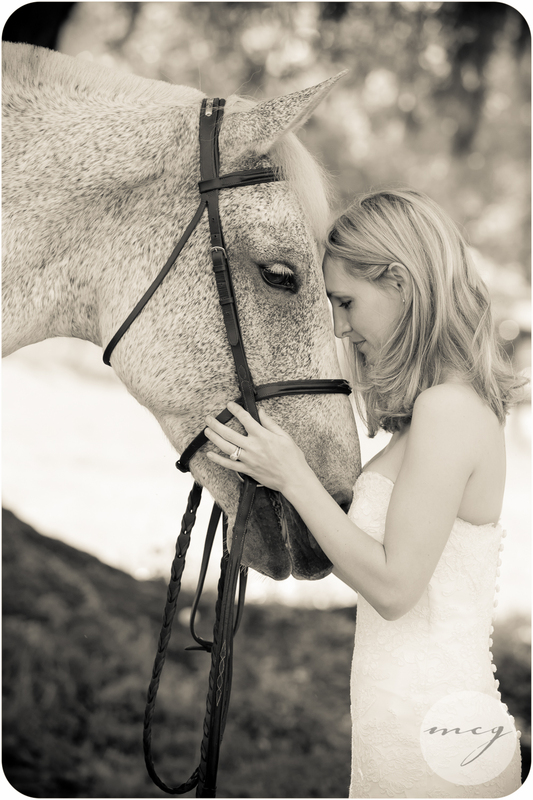 When pairing brides with horses, what is not to love? I am sure most photographers have magic words that if spoken they are immediately hooked. 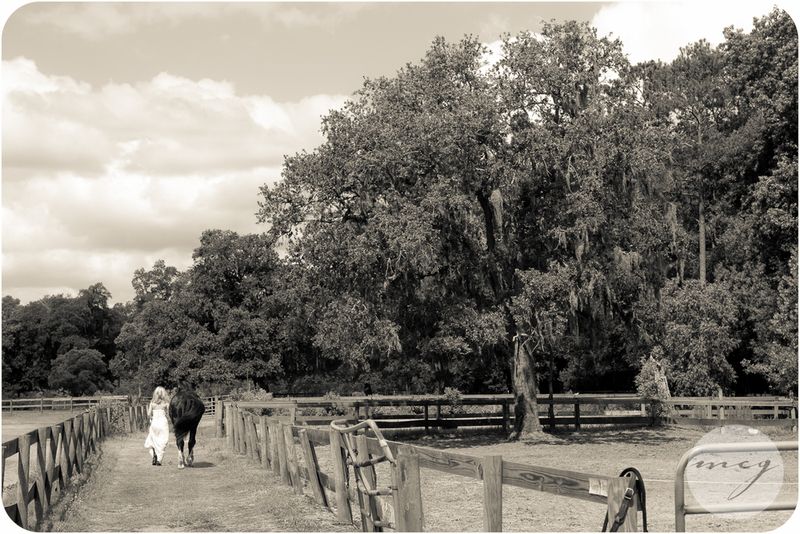 For me those words are photography, dance and horses (Corrie speaking). For James the hook words are boats, travel, flying and photography. Sign us up! For all cringing moms, this session took place after the wedding so we were free to play worry free. James and I are animal lovers. Or, more specifically, cat, dog and horse lovers. 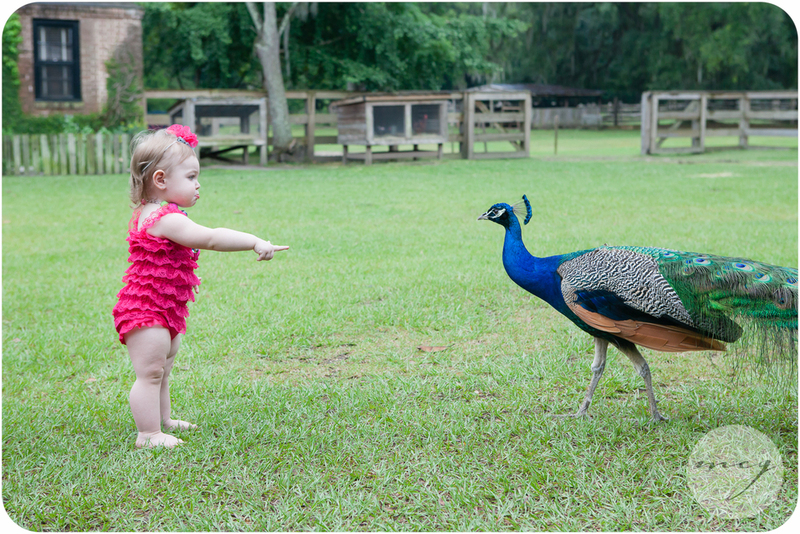 So when a peacock and calf choose to collaborate in our portrait session at Middleton Place, we are cautiously open to it. The little one must be in the animal whisperer camp because her interaction with the peacock and calf were magic. Loved capturing those moments of awe, wonder and even a little assertion. For my fellow Capricorn friends, enjoy the jumping goat. Seeing dogs and cats play makes sense. Watching a goat hop on a chair to hop onto the trampoline with no human assist or ask was excellent. It was a reminder to play, jump and have fun.